We will not send out notifications to confirm school is in session. You will only be notified in the event of a delay or closure. Paris ISD makes every attempt to assess the road conditions and notify staff and students as early as possible. When the threat of inclement weather exists, PISD officials will drive the roads beginning at 5:00 a.m. to make a decision by 6:00 a.m. There have been cases where the weather worsened during the school day and a decision was made later than the 6:00 a.m. goal. We also work with the city of Paris Emergency Operations staff to monitor road and weather conditions. The district will use several communication avenues to notify parents, students, and staff. The School Messenger automated phone calling system will be utilized in the event of a delay or school closure. 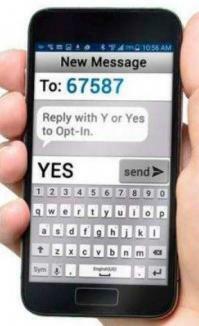 The School Messenger system will attempt to call phone numbers for both primary and secondary contacts. If applicable, School Messenger may also call the contact number for a third party, if they are marked to receive correspondence. If you recently changed phone numbers and have not notified the district, please make certain your information is accurate by contacting the registrar at your child’s campus. Officials consider current road conditions, forecasts and are also in contact with neighboring district leaders to see what decisions are being made in the area. If we delay school, it will be for two hours. Our officials will continue to monitor the roads and if conditions do not seem to be improving, we may then cancel; that decision will be made by 7:30 a.m. Please continue to monitor the district website and the local news. The district will also utilize its School Messenger phone/email system. We will notify area media outlets. After school and evening activities: If we do not have school, the assumption will be that we will not hold after-school or evening activities unless otherwise communicated. If conditions improve greatly and an activity is scheduled with another district, the activity may go on as scheduled. If conditions deteriorate during the day or the threat of inclement weather becomes more likely, we may modify schedules/cancel after-school and evening activities. 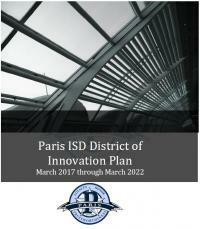 Those changes will also be posted on the website and other PISD methods of communication will be utilized. Early dismissals: PISD rarely releases school early due to the threat of weather; to do so is a major decision. Students are safe at school and we are concerned with sending students home without supervision in such conditions. Parents are always welcome to come get their children if they feel that is the best decision for them. Please, however, have a plan in place if circumstances did necessitate a release of students at an earlier than normal time. If ever necessary, we would post this on our website and utilize our phone/email system.